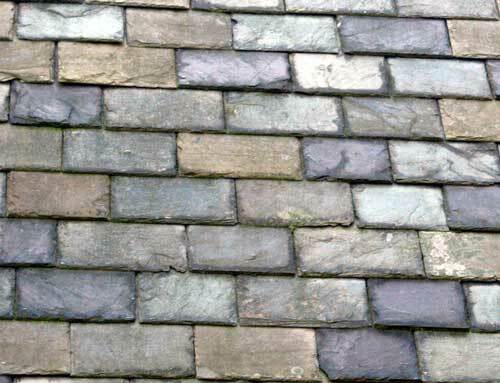 Slate Roof Central Message Board: Help me identify my slate! Hey, John Chan from durable identified this as peach bottom. I left Frederick Saturday and went to Roanoke and now (Monday) I'm on my way back to PA.
Why is it so difficult for people to understand the concept of a threaded message board? Richard, Slate are Vermont Sea Green & Purple with maybe a few non-fading green. 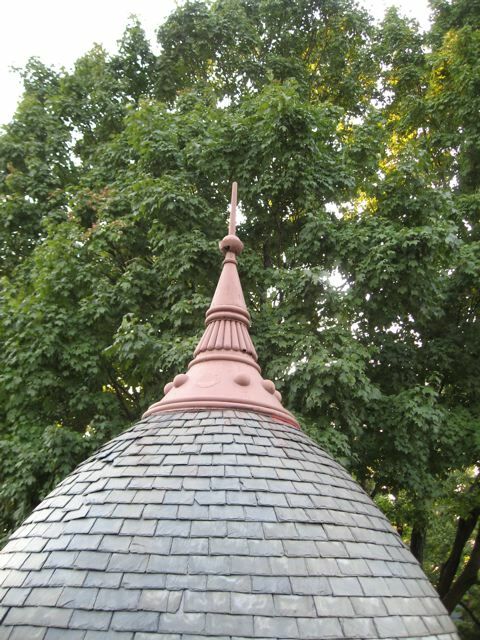 I also need some help identifying a slate roof. House was built in 1940 in Penn Hills, PA. Thanks! I am the one who wrote you about the vent flashing yesterday with a request for an idea of cost. I see in this post you are in Frederick, MD. We are very nearby in Rockville MD down 270 right off the freeway, if you'd like to see our beautiful 1889 victorian w/ slate roof. We just bought this historic property in the historic district. Anyway, if you are interested, let us know (and then you might be able to give us an idea of the extent of our vent repair cost! ) Just an idea. I will not be in New Orleans. I am currently at the International Preservation Trades Workshops in Frederick, MD and will be going to the Natural Building Colloquium in Texas in less than 2 weeks, so no time is left for New Orleans. I'm going to be at the Tradition Building conference in New Orleans next week. Can I expect to see you around? It's probably Buckingham and it looks like it's still in good shape. When you use the ripper, you have to be very careful that you don't lift the handle away from the roof when you're pulling on it. Yo may have to use some finesse in getting these slates out since they're shouldered. Tap on the ripper more gently and try to nudge the nails out slowly. If necessary, pull on one nail, then the other, then back, and so on, until you nudge the slate out. Also, this example does have a glisten to it on the back. Could this be Chapman? I was able to break this piece in my hand. It looks like a black! If you take another picture of one or two pcs, would be better to see! 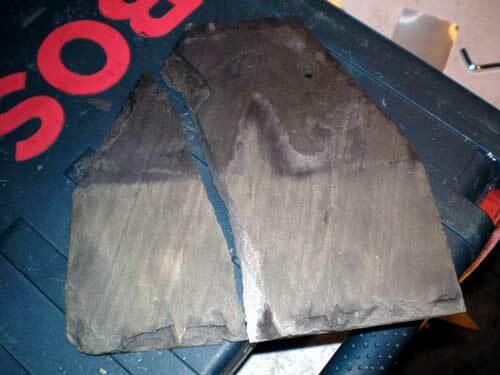 Can anyone help me identify this slate from the picture?